﻿ KTK Regent Suite, Pattaya | FROM $33 - SAVE ON AGODA! Have a question for KTK Regent Suite? "Have a good time here will be back for sure"
"The room is very big, well worth the money." "Amazing large rooms with great deco." 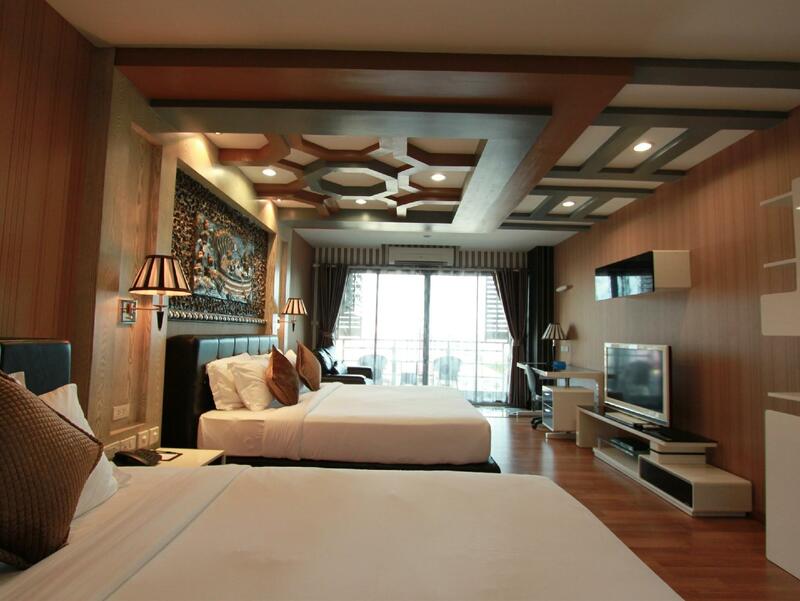 Built in 2012, KTK Regent Suite is a distinct addition to Pattaya and a smart choice for travelers. From here, guests can enjoy easy access to all that the lively city has to offer. With its convenient location, the hotel offers easy access to the city's must-see destinations. Offering hotel guests superior services and a broad range of amenities, KTK Regent Suite is committed to ensuring that your stay is as comfortable as possible. The hotel provides free Wi-Fi in all rooms, 24-hour front desk, Wi-Fi in public areas, car park, room service to ensure our guests the greatest comfort. Experience high quality room facilities during your stay here. 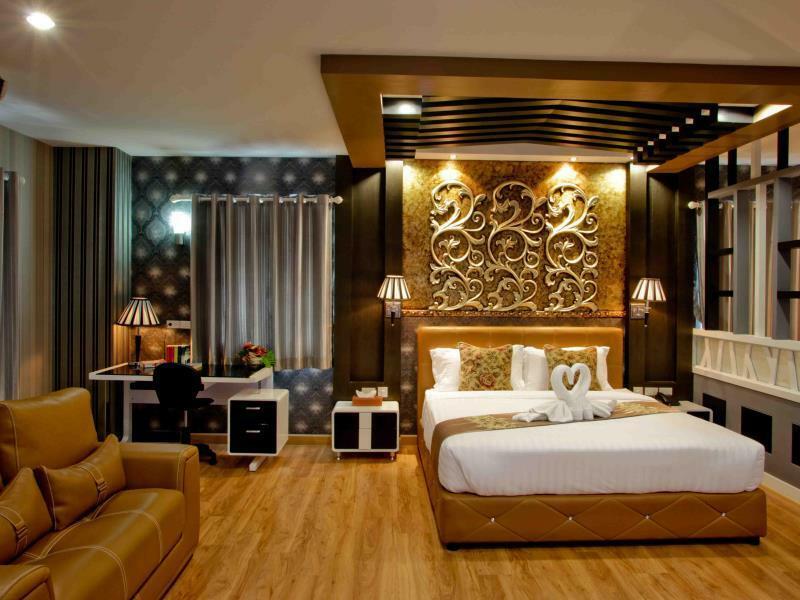 Some rooms include television LCD/plasma screen, internet access – wireless (complimentary), non smoking rooms, air conditioning, wake-up service, provided to help guests recharge after a long day. The hotel offers an excellent variety of recreational facilities, including fitness center, sauna, outdoor pool, indoor pool, pool (kids). 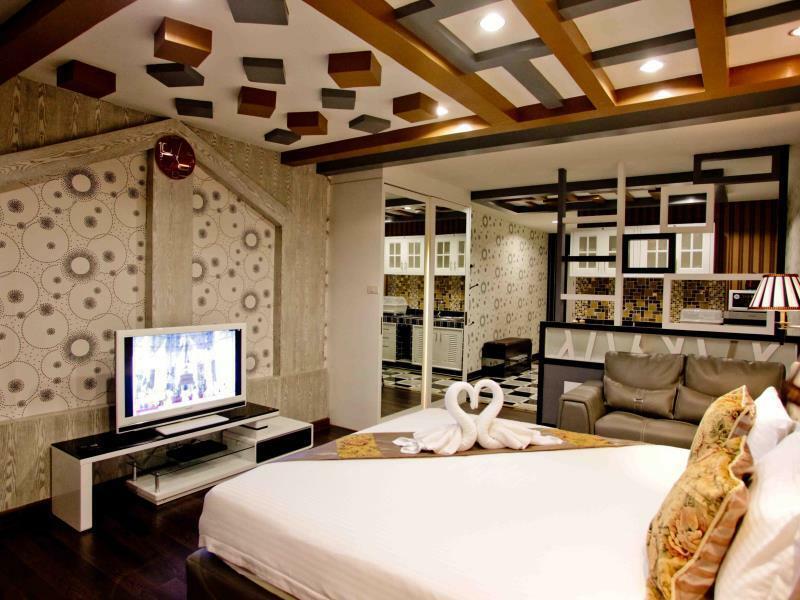 KTK Regent Suite is your one-stop destination for quality hotel accommodations in Pattaya. "My favorite hotel in Pattaya with a huge room"
Please note that there is no elevator for Premiere Suite room on eighth floor. Guests can use elevator to get up to seventh floor then walk up the stairs to get to the Premiere Suite. Good breakfast. Nice large rooms. Friendly staff. Free Tuk Tuk to town. Only negative is the fitness center. The equipment is old, and needs to be replaced. Also they need a machine to work the shoulders. Great hotel. Better if you are able to utilize your own transportation but they have a shuttle and here are many other ways to get around. Staff are kind and thoughtful. breakfast available from 6:00 to 13:00 is a big plus. I would certainly recommend this property. 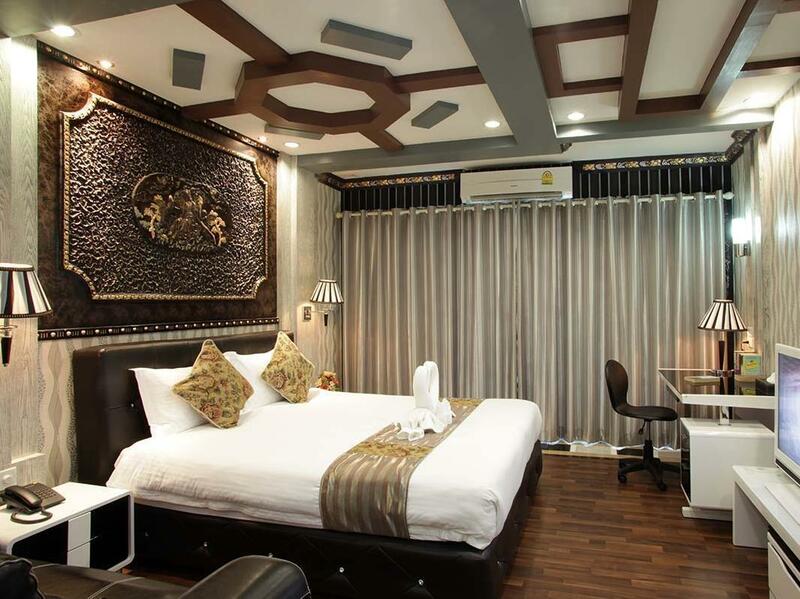 KTK has all the comforts of a serviced apartment with the amenities of a 4 star hotel. At a budget price. Would recommend staying here to any of friends and anyone else. It's almost like a secret place you don't want too many people to know about. AAAAA + recomendation. Giant rooms, unique decoration, guest friendly and all amenities you could ask for. Huge rooms with all the comforts of home. Dual swimming pools, exercise room, sauna. Really, the perfect hotel. It's about 10 minutes walk to Soi 6 , or a 5 minute motorbike / tuk tuk ride to the big Central mall or Central Marina Mall. Now there's even a Terminal 21 mall just 7 min away. Book without hesitation. Beautiful rooms beds divine TV very limited, English channels good location. We just stayed one night. It was a lovely, large room with a lovely, large bathtub, which we really wanted. Unfortunately, although we had requested a quiet room on a high floor, we got a room right above the pool, so we couldn't be on our balcony without hearing everything that was going on and the pool goers looking at us. But still a nice, relaxing stay. 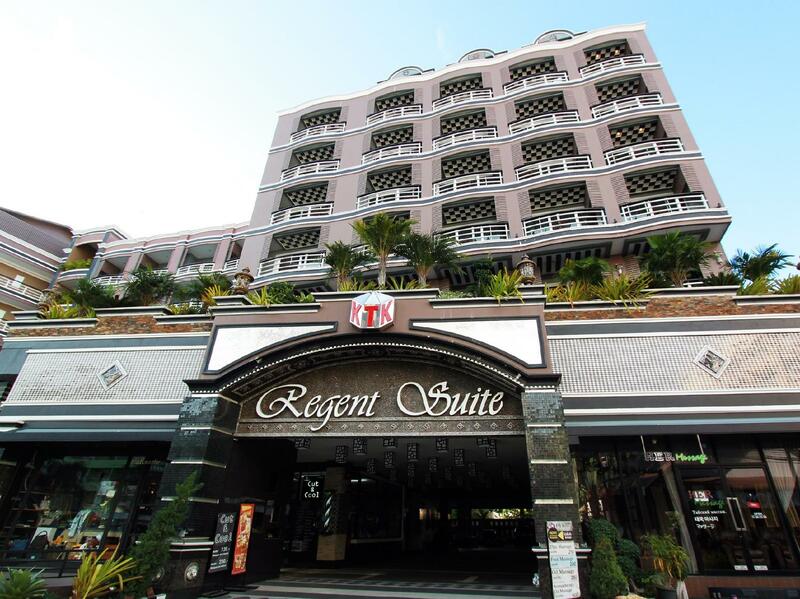 Booked REGENT SUITE. front desk staff attitude very rude. If you are Indian Vegetarian pls DO NOT BOOK brekfast. you will get only simple bread to eat. even on request they will give you fried rice like sheet with the arrogant attitude and will show you black face. totally disappointed with service. no worth to spend such high amount. Room is nice, cleanliness also fine. Hotel is very nicely decorated and if booked through the website you can save some money. There are 2 pools, sauna, and gym. All of the treadmills were broken and the gym equipment was not great. No freeweights unfortunately. Room deposit was 1,000 baht and the staff was efficient and let us check in as early as possible. Room had all the amenities, kitchen, fridge, sink, microwave, kettle, table. Water pressure was steady and hot water was always available. Bed was nice and soft. This hotel is good for soi 6 action 7 minute walk to second road. Motorbike taxis, laundry, restaurants, are all located just outside the hotel. I would definitely stay here again for the right rate. I paid for an additional night st the hotel rate and I could have stayed at a nicer hotel for the price. KTK REGENT Suite offers excellent value for money. 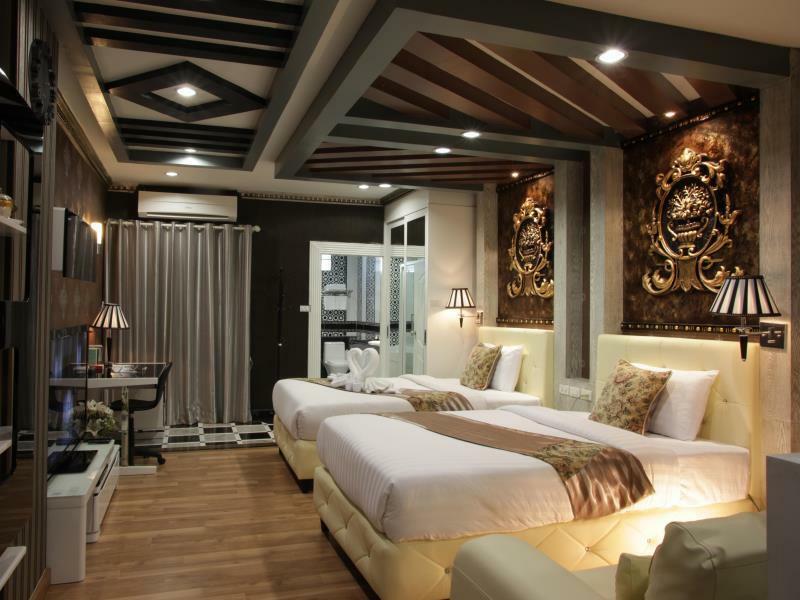 the rooms are well appointed, spacious and offer great facilities. the hotel staff are excellent and very friendly and offer great service with a smile! The swimming pools and gym are nice, the hotel is very clean and breakfast is very good. the only downside is that the location is a little far from the main shopping areas, nightlife and beach but they do offer a 24 hour shuttle service which does take you to many of the locations that are a bit too far to walk to. Overall we had a fNtastic stay And will come back again! A repeat visitor to KTK, they are always recommended. A fantastic value for either short or long stay. Clean rooms with great decoration. The hotel has the amenities of a 4 star hotel and guest friendly. 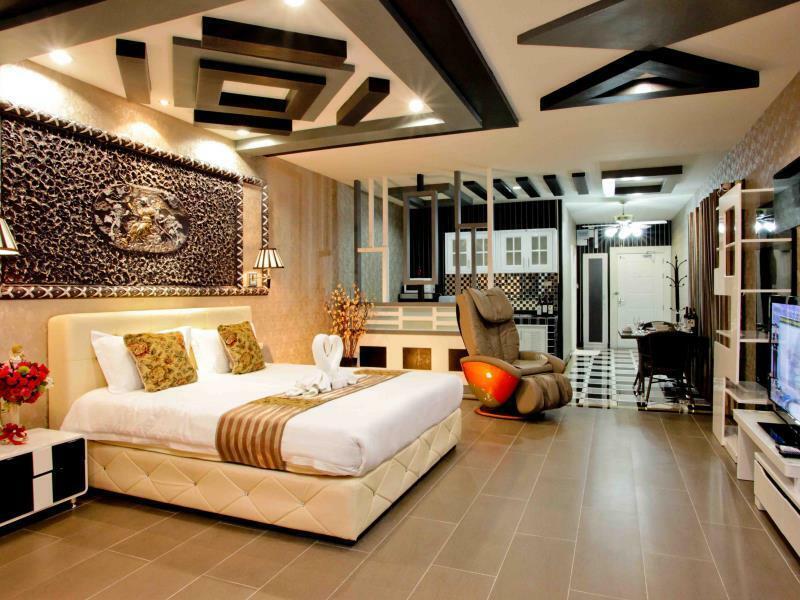 Do yourself a favor and book your holiday stay here. KTK is one of the best values in all of Pattaya. Amazing rooms, comfortable beds and awesome amenities. Pools, fitness, room service and a courtesy shuttle. Near to Soi 6 and just a quick motorbike taxi ride anywhere in town. Recommended to all. I love this Hotel. Pluses: Room suites were great, Bathrooms big. Hot water plentiful. Amenities provided. Kitchenette was big and useful if staying more than a couple days or eating in the room often. Staff very efficient. Breakfast was good. I was on 3rd floor and it was quiet. Exercise space great. Negatives: Location, it is far from anything. beach, walking street, restaurants. Pool is small and patio if you want sun is tiny and 4 people make it overcrowded. I recommend if you are not bothered by location. This is the perfect hotel. Two pools, one indoor and one out, a nice fitness area, big rooms with comfortable beds, decent location. You couldn't ask for more as a solo traveler in Pattaya. The rooms are appointed better than rooms costing 2x the price. An amazing value and recommended stay.